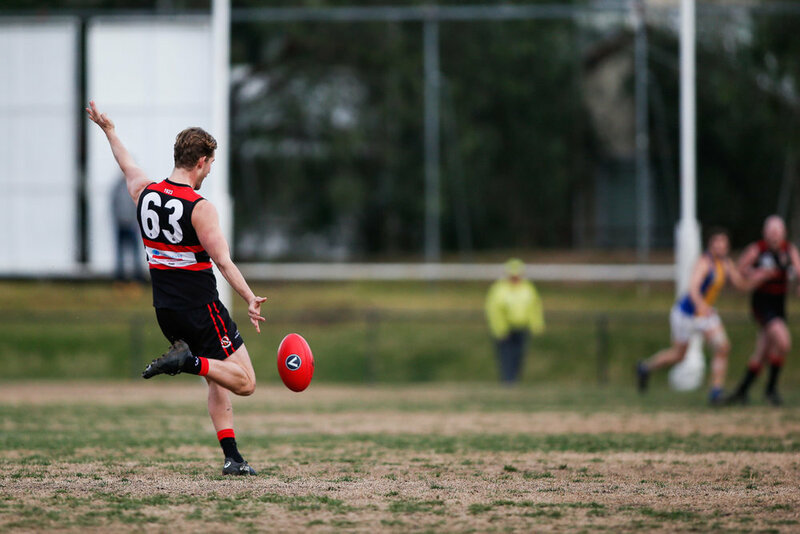 The Crocs were crushed in their second semi-final and the U19 Premier team lowered their colours to Caulfield Grammarians, but the news from elsewhere was a lot better. 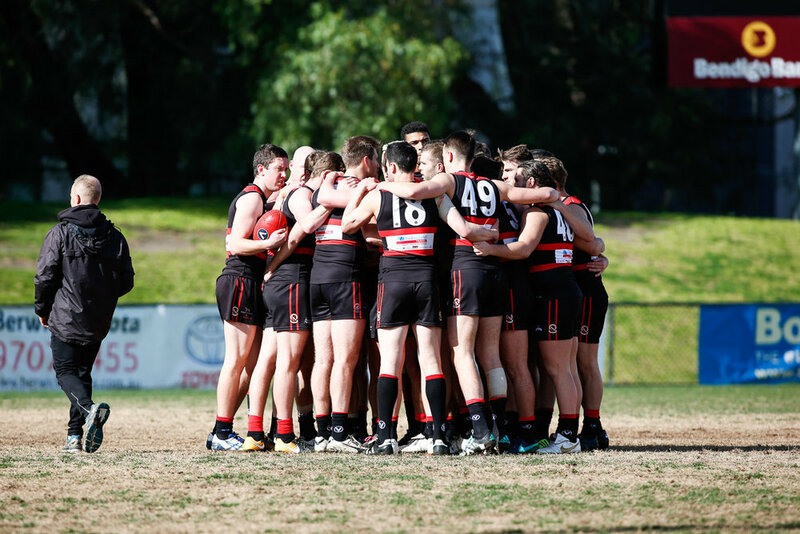 The U19 Reserves, and U23s saluted, and at Toorak Park, after the Reserves had avenged their early season defeat at the hands of De La, the Seniors stormed home to cement the club's spot in Premier section for 2019 and keep hopes of finals well and truly alive. 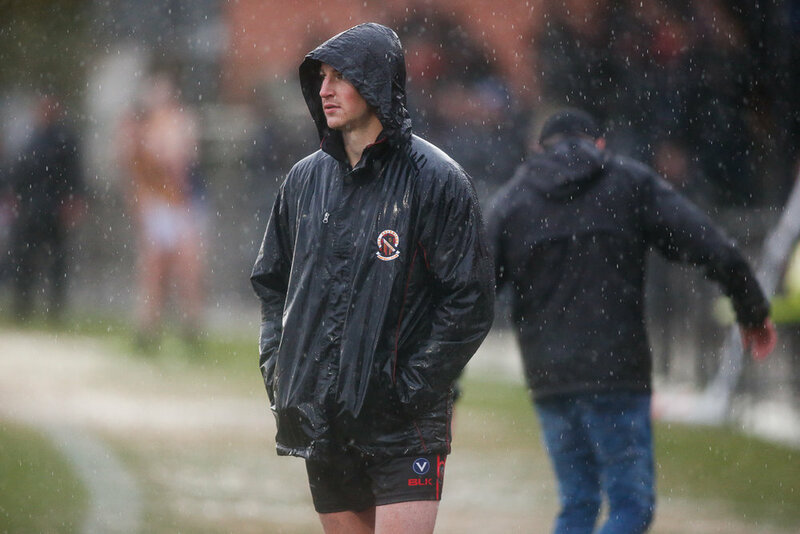 For three quarters, De La Salle looked certain winners over Old Xaverians at Toorak Park. But no, the Xavs stunned their opponents in the final term to steal the game in the time on period of the last. In near perfect conditions, the visitors set the tone early and only stout defence from a determined Xavs defence limited the damage. At the other end, the X Men struggled, as DLS backmen kept things tight. Despite their paltry lead after a quarter with the light breeze, the Bellers' run and work at the contest looked ominous. It took nearly 40 minutes before Xavs booted their first goal, a classic Chris Margin on-the-gallop special. Two minutes later, Hamish Cullity roved one in the grandstand pocket and sliced a left-footer through the sticks from a tight angle to tie the score. Matt Handley goaled at 18 minutes and the home team seemed certain to gallop to a big halftime lead. But it was De La that dominated the rest of the term. They scored five times, each one of them minors, and the Red 'n' Blacks went to the long break with a narrow lead that was at once surprising and perhaps undeserved. In the first half, the Bellers had applied great pressure when they didn't have the ball, causing some panic and mistakes from the home team. In the third term, they applied the same formula with an even better result. Four goals in eight minutes to close the first half of the third term had De La looking like winners. 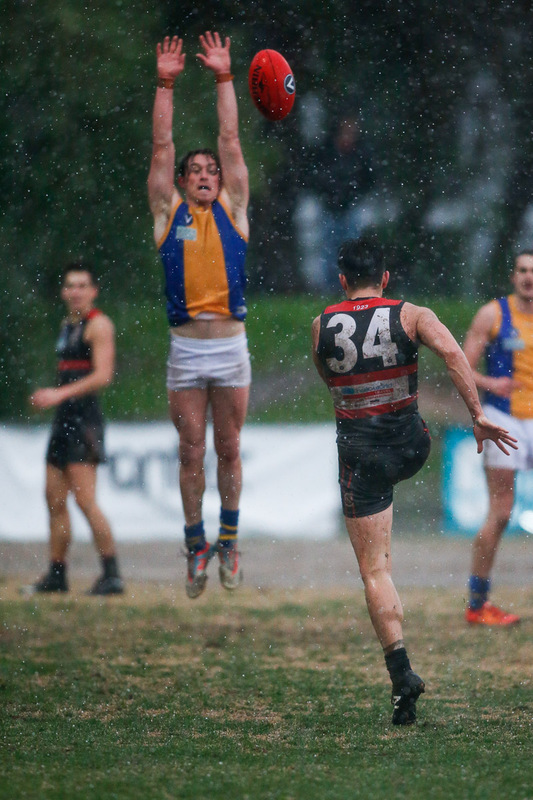 The Xavs tightened up, and while there was continued frustration in the forward half, Xavs did at least staunch the bleeding to restrict the visitors to a couple of further behinds and to hold them to a 21 point lead at the lemons. 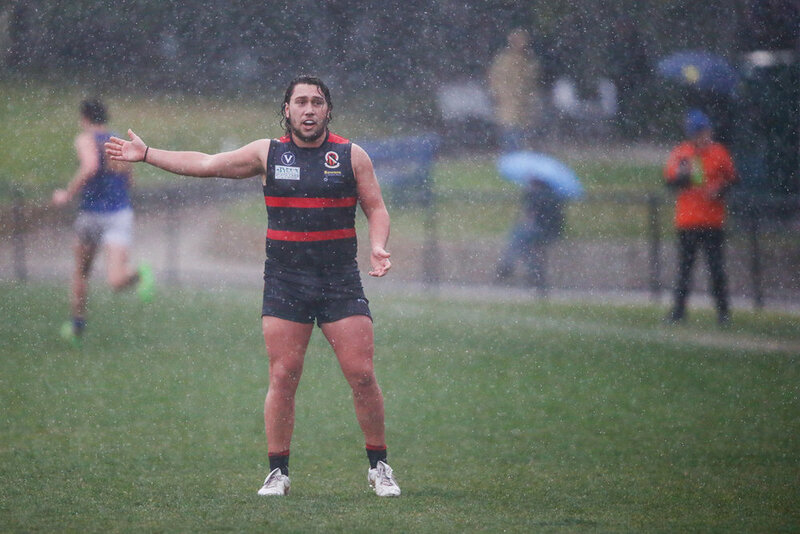 Given that Xavs had scored just three goals in three quarters under light cloud, a win seemed highly unlikely to most who gathered around the three quarter time huddle. As they broke after final instruction, a loud crack of lightning had players and spectators looking to the sky, which had suddenly turned black. 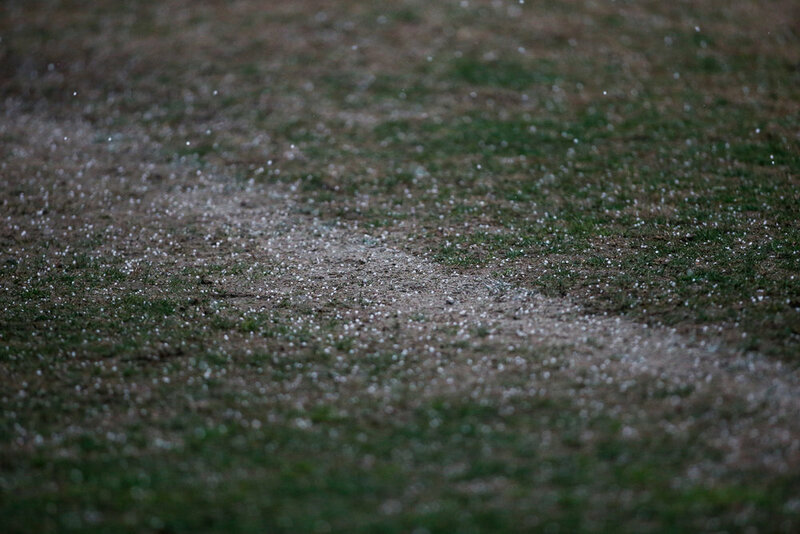 Then it rained, and then it hailed, but it was the Xavs who shook down the thunder. Immediately, the home team grabbed the initiative and put the Bellers on the back foot. It took seven minutes before Clay Johnston wheeled and sent a perfect drop punt through the uprights and another six minutes before Handley kicked his second. 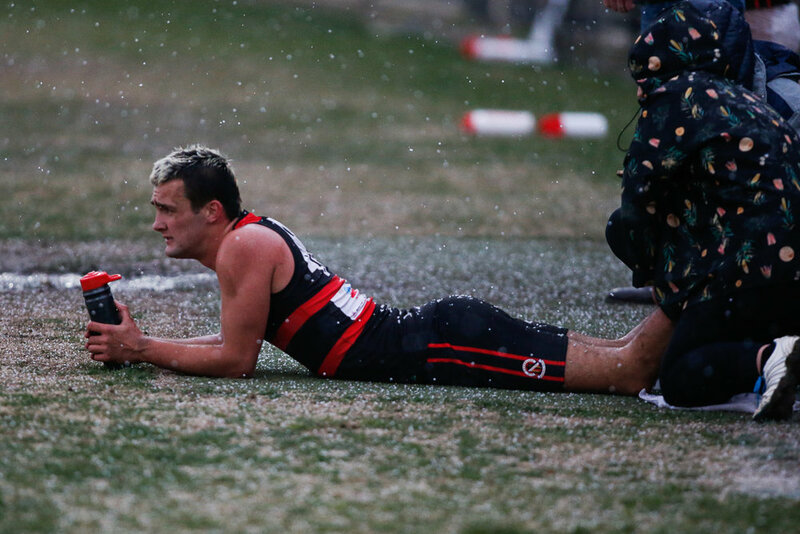 The Red 'n' Blacks had taken over all over the field, but the ball had become as slippery as the conditions. In the fifteenth minute, Harry Batten drilled home a set shot from forty and the X Men were just a point down. 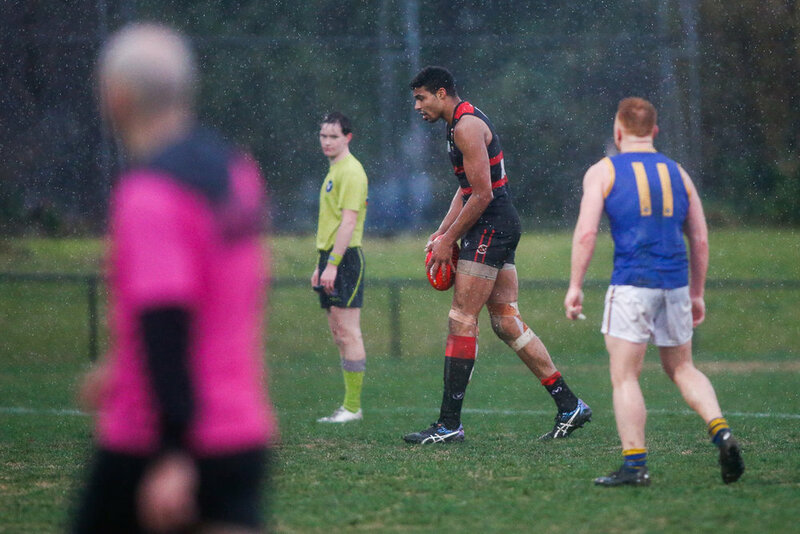 After tying the score, Xavs conceded a behind on De La's first chance for the term, ensuring a nervous time-on period. The home team dominated possession, and kept surging forward relentlessly. The tight and committed Beller defence and the appalling conditions served to turn them away time and again. IS THERE ANYTHING HOMER CANNOT DO? The final act came after several skirmishes near the Xavs goal. Jason Holmes, who had been a tireless and effective performer all day, won a free kick twenty metres out. The big American has brought a great deal to this team, but he has yet to reveal his sublime kicking skills. 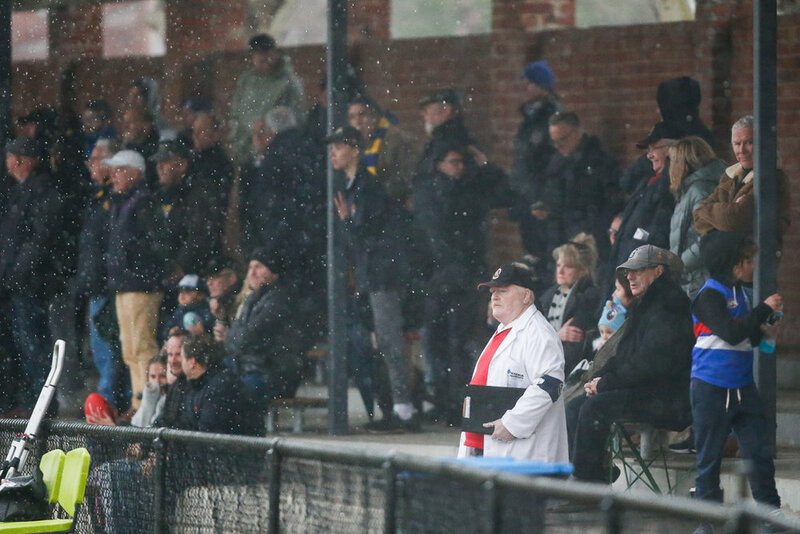 The Xavs faithful that had not repaired to the grandstand were screaming that any score would do the trick, knowing that a draw would achieve the same result as a win in terms of ladder calculation. But the man in the arena was not settling for a split decision. He lined up and slotted the Sherrin over the goal umpire's hat to put the X Men up by five points. De La had little left in the tank and Xavs surged forward to add another minor score to almost guarantee they would take at least two premiership points. But the siren sounded and they had won all four. The Red 'n' Blacks had some outstanding performers on the afternoon. 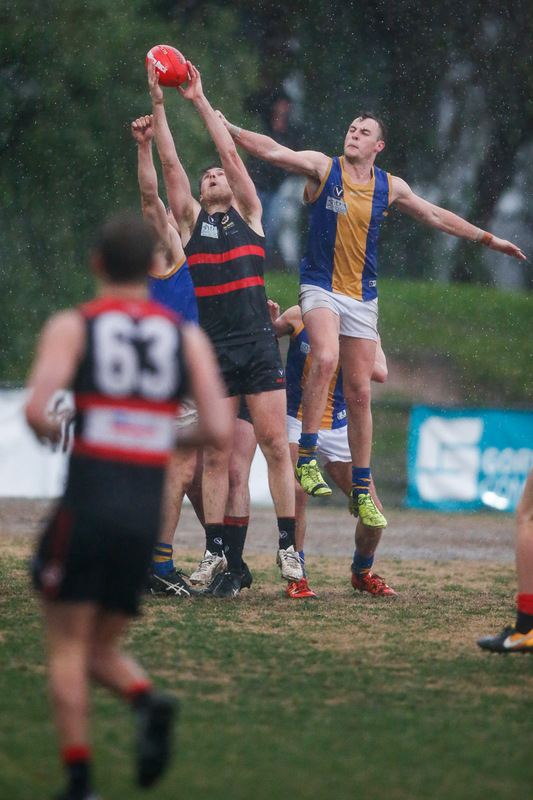 Dan Noonan led a tough defence, aided by John Milhuisen and Jordan Kelly and the returning Alex Trigar. Jason Holmes and Ben Banting did a sterling job in the ruck, and the run and class of Clay Johnston, Chris Margin and Luke Bisset contributed much to the win. Up front, it was tougher. Handley was well held but found a way at the right times. Lucas Soccio, whose last quarter was a lesson in forward pressure, continues to pose a threat. The swarm that gathered in the rooms to await the players was an illustration of the depth of feeling that the Xavs' faithful have for this team, which has fought back bravely from a poor start to the year. Sixteen games in, this this team might not have the impressive resume of the Xavers of old, but they're young and they're bold, and if they can continue to dig deep, who knows where, when or how this season will pan out. 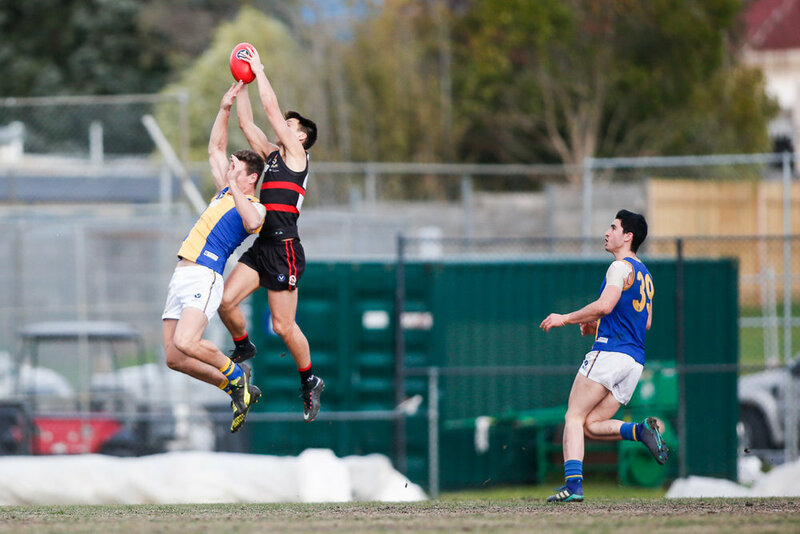 De La had beaten the Red 'n' Blacks early in the year, so a tough contest was anticipated as the teams resumed hostilities at Toorak Park yesterday. So it proved for the first half, with both clubs playing attractive football early, and they went to the sheds with just six points separating them. After the long break, the Claret and Stout took over, with big Matty Peric leading the charge. With a rampant midfield, the home team had plenty of opportunities to score, and score they did. Eighteen scoring shots to five in the second half told the story. The Reserves look to secure their second semi-final appearance next week. De La Salle will play in the first semi-final. SKOB Gold is coming hard as the finals approach and appear to be the main challenger to the two Old Xavs teams. A stunning final term say the U23s saw them win by a point against Old Scotch at Stradbroke yesterday. 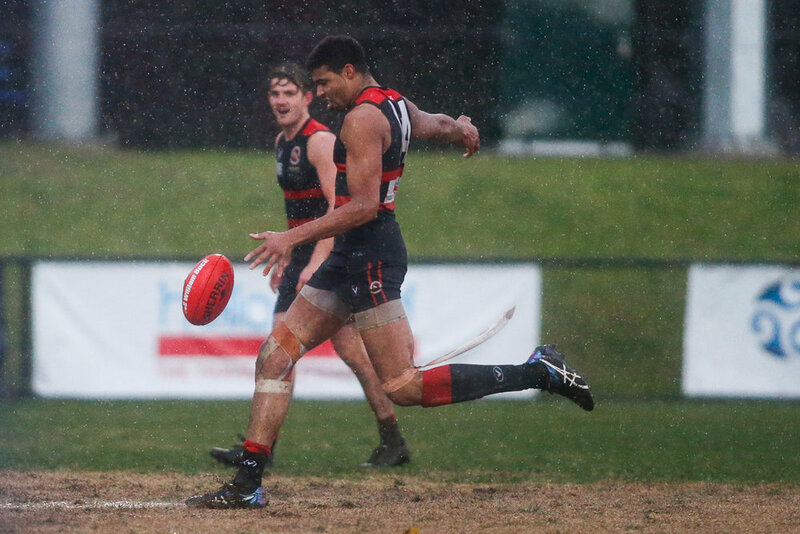 Xavs trailed by 35 points late in the third term, but a late goal saw them trail by 29 at the lemons. The Scotch team resisted the challenge after another early Xavs goal, and well into time on, the home team looked to have fallen four goals short. But not quite. Three goals came in six minutes, and then the mercurial Harry Kelly soared and plucked a beauty. 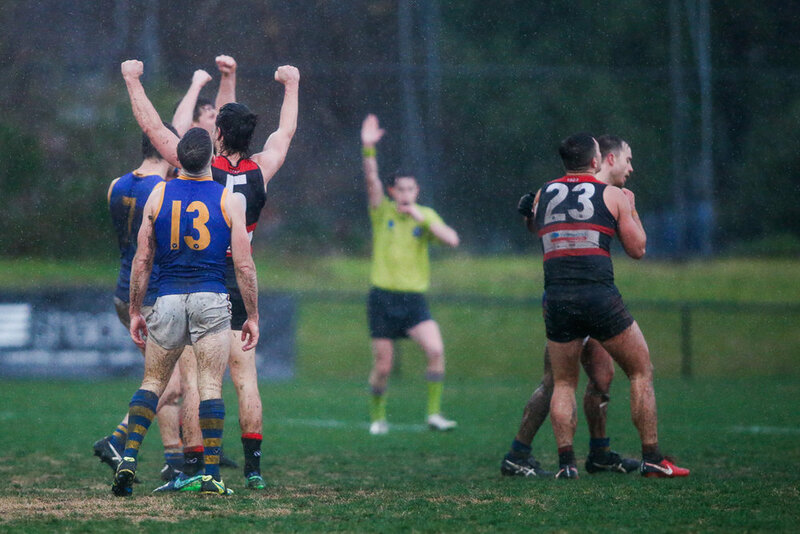 Forty metres out, he kicked truly to give the Xavs a one point victory. 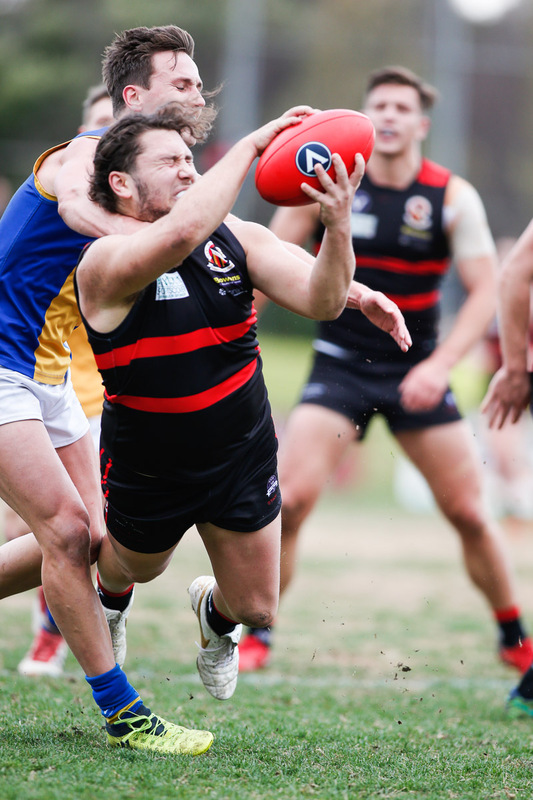 The VAFA has decided upon a six team finals' series for Premier Thirds, with the two top finishers getting the first week off. A win next week against the Snowdogs will likely grant them that privilege. 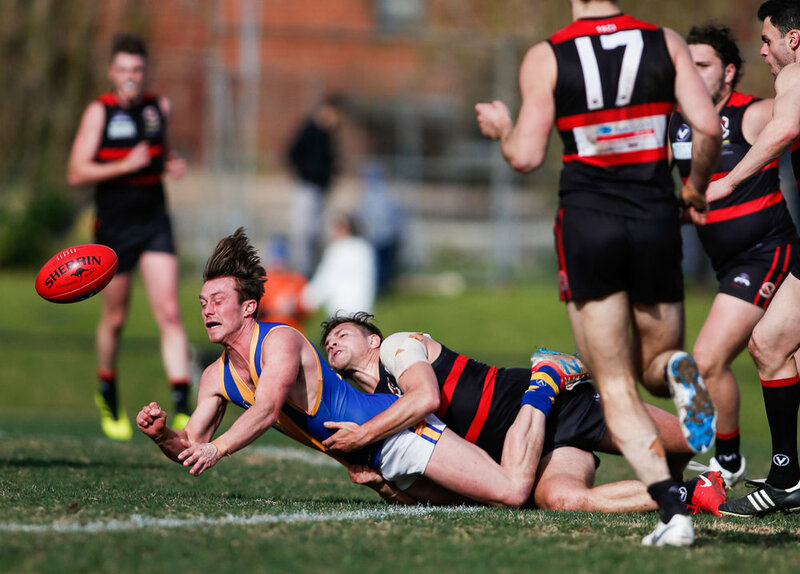 The U19s were ower-powered by a feisty Caulfield Grammarians at Glenhuntly yesterday. Despite leading at the first change, the Xavs were outscored by te goals to three the rest of the way. The loss puts the double-chance in some jeopardy. A win next week against DLS will see them play the Bellers again in the second semi the following week, but a loss will likely have them facing these same Fieldsmen in a cut-throat first semi final. Catania-mania continued at the Snakepit yesterday as Chuck "The Rifleman" Connors turned on a BOG performance that slayed the Snow Dogs. 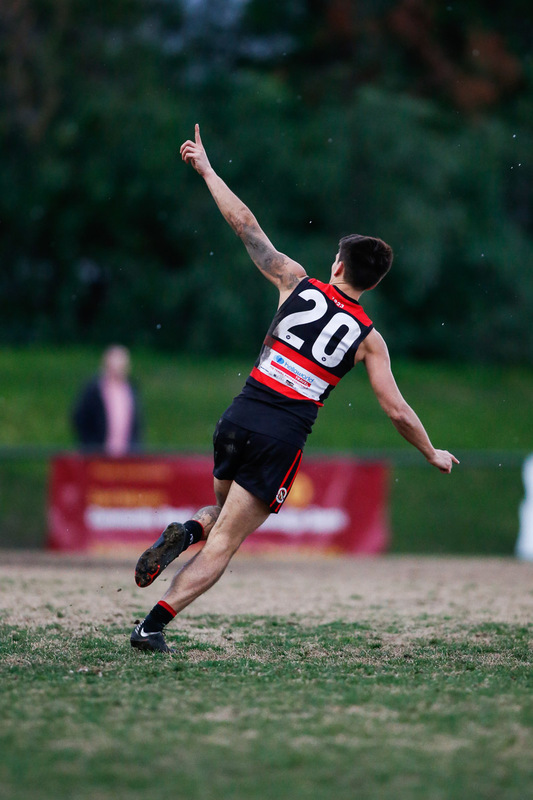 Jono Catania's six goals did the trick as the Xavs rolled over the Bernies in the second half. Next week sees the Pups clash with Old Scotch, a fore-runner to their second semi-final meeting the following week. 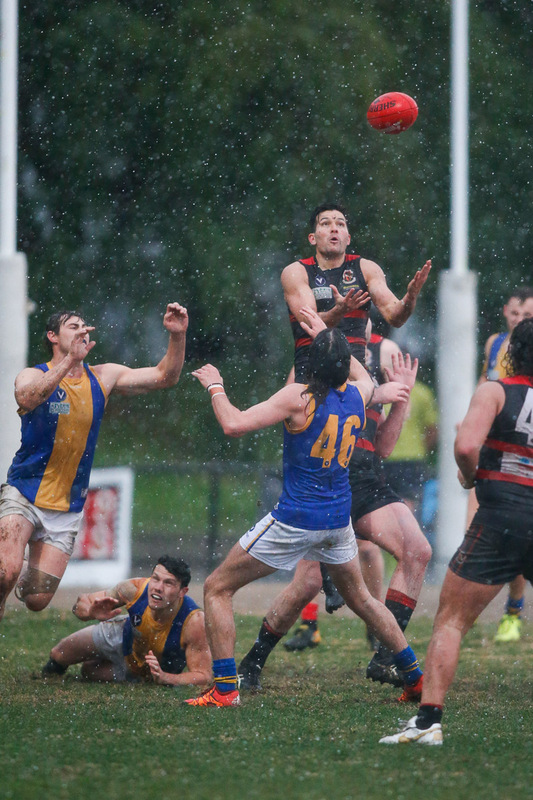 Hawthorn Spartans put a massive dent in the Diles' premiership aspirations when they destroyed them in their second semi-final clash at Rathmines yesterday. Playing with just 21, the Crocs were always up against it, particularly after Ryan Gallagher left the field with a suspected broken jaw. The Green Hose must beat MHSOB Maroon next week to earn another crack at the Spartans.